Mount Douglas secondary students are aiming their ecological footprints at restoration work on Mount Tolmie. Over the past few years many classes have discovered the beauty and diversity of our native Garry Oak meadows while working to remove invasive plants that threaten this treasure. The school’s ECO club has organized bi-weekly removals since the fall that dozens of students have participated in. This spring, the challenge program grade 10 students are entering their second year of an Invasive Species Project. You may have noticed string outlining an area on Mount Tolmie where no native plants are growing. Students have designed an ecological analysis to test different treatments on the restoration of the area to native plants. On April 19-20 they are planting Camas, native flowers and grasses in one plot and covering two others plots before planting seed in the fall. The 52 students are also learning more about the ecosystem from local expert James Miskelly and removing blackberry to provide more space for native plants and animals to call home. Perhaps a student will give you some information about invasive plants that they observe in your front yard on April 27 and 28. Many residents may not recognize toxic Daphne or Scotch broom in their yards but the student’s info slip will tell you if you have it and why and how to deal with it! 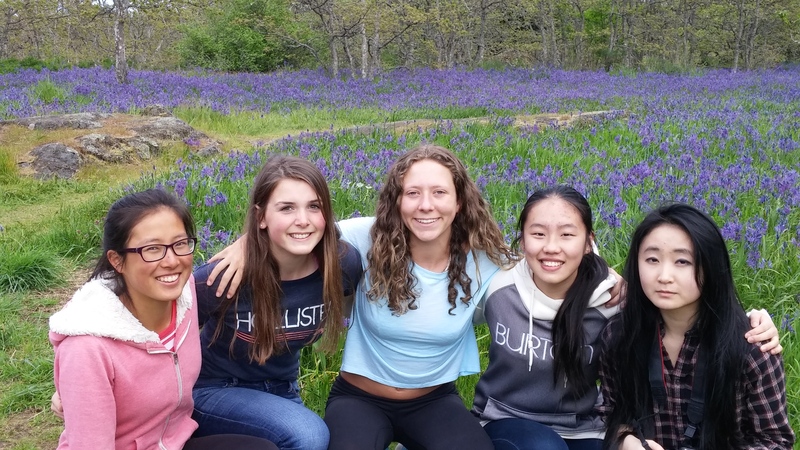 Students are using the Saanich GIS system to make maps to track the invasive plants locations over the years. Last year’s maps and results were presented to Saanich council! None of this would be possible without the mentorship of Dave Lock of the Mt. Tolmie Conservancy Association and the financial support of Lt. Governor Judith Guichon’s Stewards to the Future Program.